"41 people should not be shot in a 7 hour time period!" The reason I really wish and want to vote is because we’re losing too many lives because of the reckless gun distribution and ownership laws! 41 people should not be shot over a 7 hour time period in Chicago! I have to live here and it is not fair that I must experience this day by day! 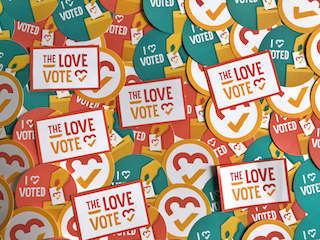 Show Kobey love + inspire others + get voting info + get event invites + get stickers + create change!